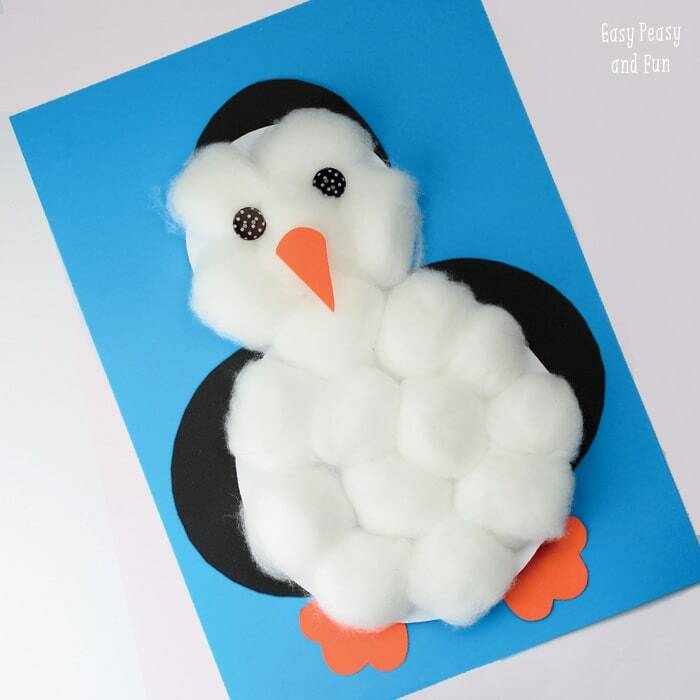 Grab the cotton balls and lets make this adorable cotton balls penguin craft – toddlers, preschoolers and kids in kindergarten will love this project. 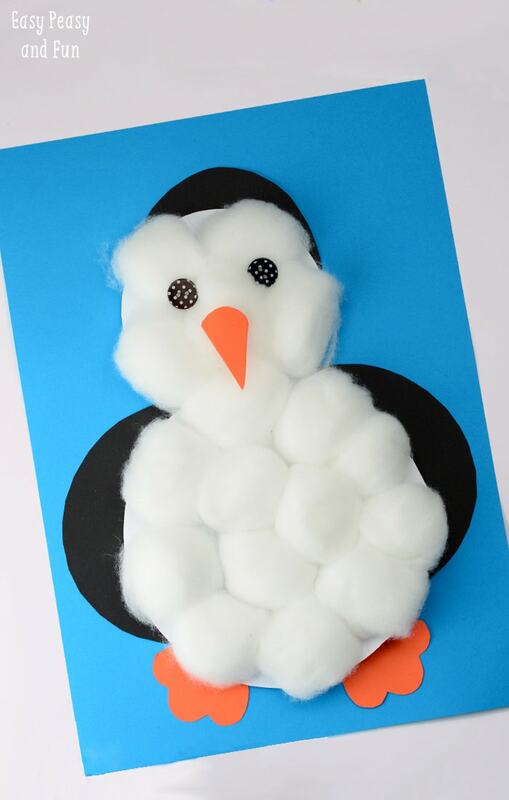 We made a cotton balls snowman not long ago and we loved it so much we decided to make a penguin too (and there’s another creature in the making). 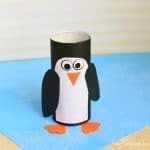 Start by cutting the penguin body shape out of white paper. 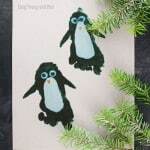 Cut one small half circle out of black paper for the head part and two larger half circles for the wings (you can apply these to the body shape now or at the end). Cut the beak and legs out of orange paper. 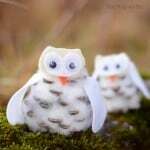 Apply a generous amount of glue (we worked with white school glue) to the white penguin shape. 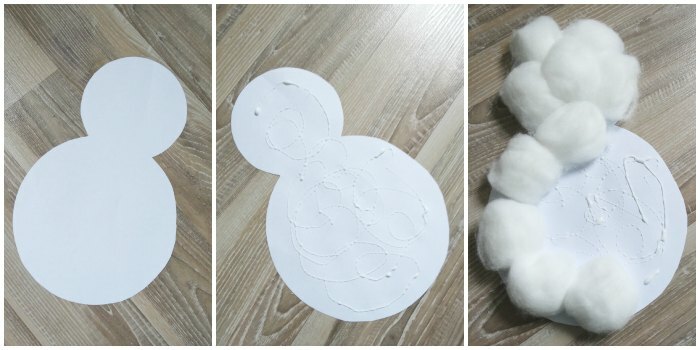 Start sticking on cotton balls until all the white part is covered in fluffiness. Let it dry for a while. If you haven’t already add black parts. 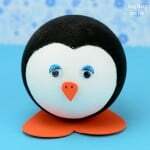 Also stick on the beak and feet. We used buttons for eyes but you can just as easily go with two circles cut out of the black paper. You can leave it as it is or stick it onto a sheet of blue paper to make it stand out even more. Loved this fellow? 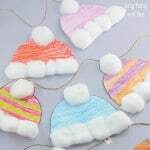 There’s another super simple craft you can do with cotton balls – the winter hats craft – perfect to make at home or as a classroom art project. 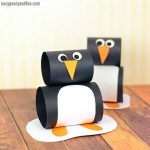 We also have a nice selection of easy winter crafts for toddlers on the blog with lots of other creative ideas. What size did you use to cut the feet, wings and nose? Did you use a template? I am looking to make enough for a group. Thanks!